The Family Support Center offers a wide range of flexible services to support families caring for a child or an adult with a developmental disability. 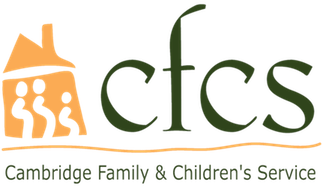 CFCS serves as the Family Support Center for the Charles River West Region of the Massachusetts Department of Developmental Services (DDS). The Family Support Center provides access to computers, relevant literature, and support from professionals who have extensive experience helping families deal with the challenges that come with caring for someone with a developmental disability. Specialized Home Care is a residential alternative for adults who are unable to live at home. This program offers community living opportunities in professionally supervised, long-term, specialized homes, providing care and support in the least restrictive and most normalized setting possible. Department of Elementary and Secondary Education (DESE)/Department of Developmental Services (DDS) Program is funded by the DESE and administered by the Massachusetts DDS. This program helps to maintain students with a developmental disability, (receiving special education services) in the home, and not in a residential facility. Typically designed for children who require intensive levels of supports in school, home, and the community, the DESE/DDS program helps to provide the extra support that allows children to remain in their homes. Intensive Flexible Family Support Services (IFFS) Program offers services to families with a DDS-eligible child between the ages of 3-18, and who is prioritized by the DDS Children’s Coordinator as having a need for intensive case management or flexible funding to address a short-term need, and/or to prevent out-of-home placement. Agency With Choice (AWC) is a program supporting adults living with their families who require additional support such as respite or skills training. This co-employment model allows parents to be more involved in goal setting, identifying in-home staff and supervising staff. CFCS acts as the employer of record and provides additional supports to families to ensure that goals are met and staffing is appropriate and supportive. For more information about our Developmental Disabilities Program (DDP), contact Brenda Beaton at bbeaton@helpfamilies.org or 617.876.4210 x4259.